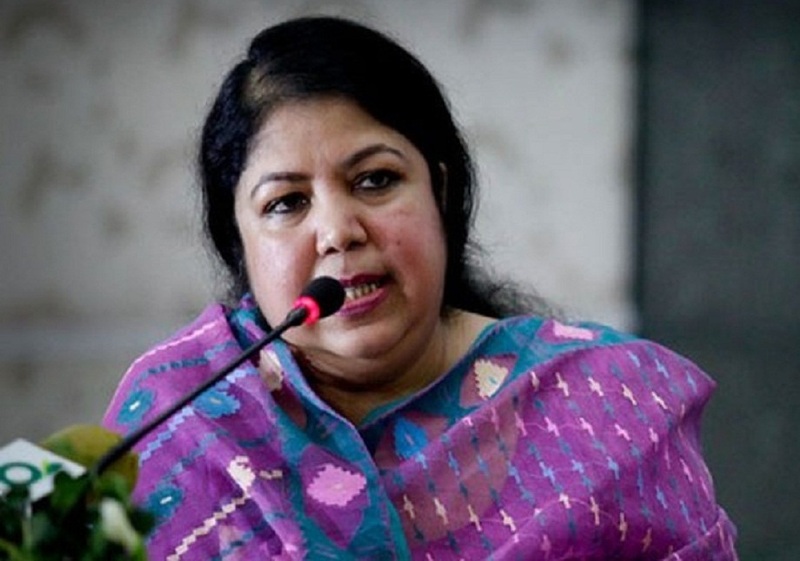 Speaker Dr Shirin Sharmin Chaudhury on Friday said country’s women are marching forward overcoming all obstacles following the footsteps of pioneers of women awakening. “The participation of women in different professions of the state and levels of the society is clearly visible. Bangladesh’s women are going forward in an irresistible speed with their own glory,” she said. The Speaker was addressing a programme organised by Begum Badrunnesa Ahmed Trust at the International Mother Language Institute to honour enlightened women, marking the International Women’s Day. Country first female Deputy Leader of the House and Environment and Forests Minister Syeda Sajeda Chowdhury, first female Home Minister Advocate Sahara Khatun, first women Speaker Dr Shirin Sharmin Chaudhury, first female Foreign Minister Dr Dipu Moni and first Major General Susane Giti were honoured at the programme. Begum Badrunnesa Ahmed Trust Trustee Mahfuza Khanam, former Inspector General (Prisons) Syed Iftekahr Uddin and Prof Khandakar Nazrul Haque, among others, spoke at the programme with trust Chairman Prof Dr Nasreen Ahmad in the chair.